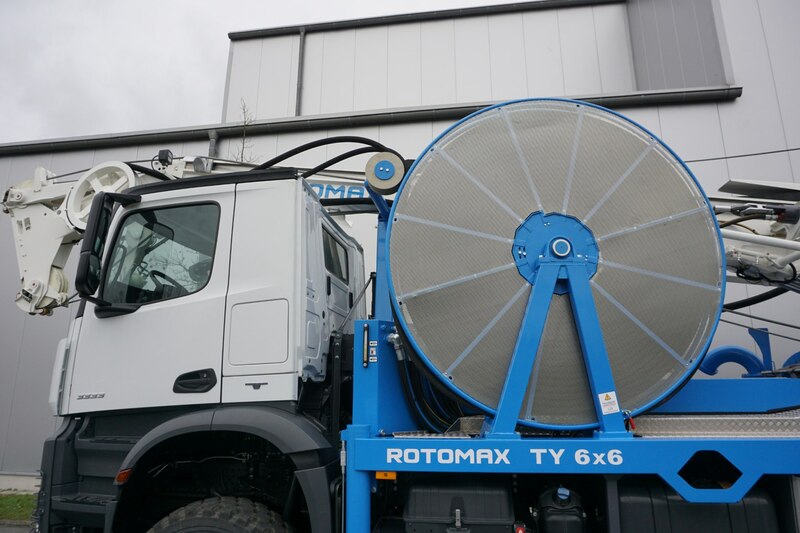 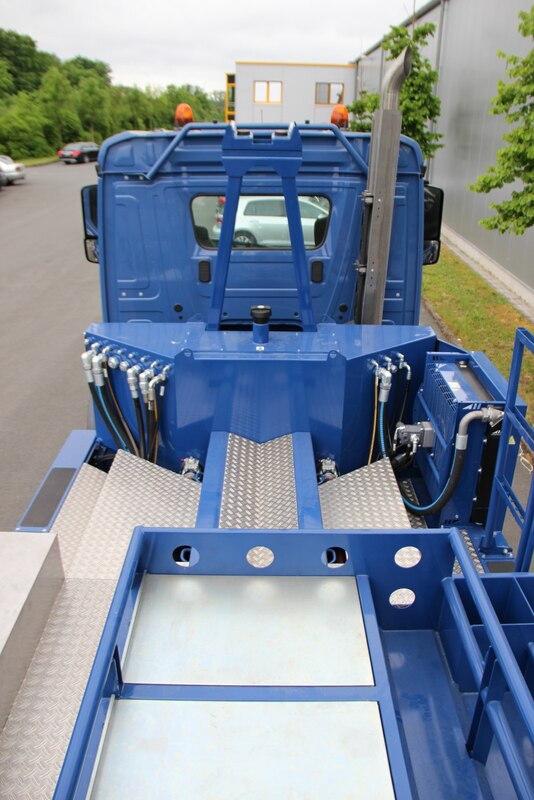 Above the high-built driver cab of the Mercedes Benz Arocs, storage space was reduced for the mast when stowed in the transport position. 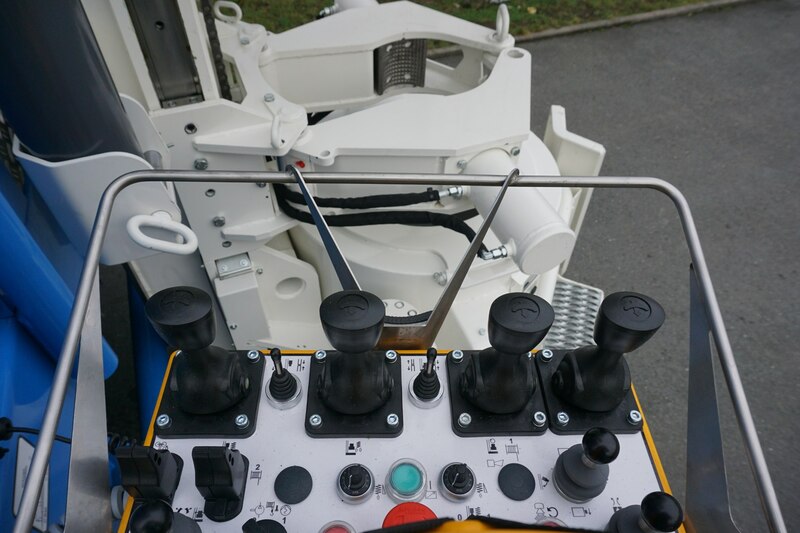 And there are other technical features to enjoy. 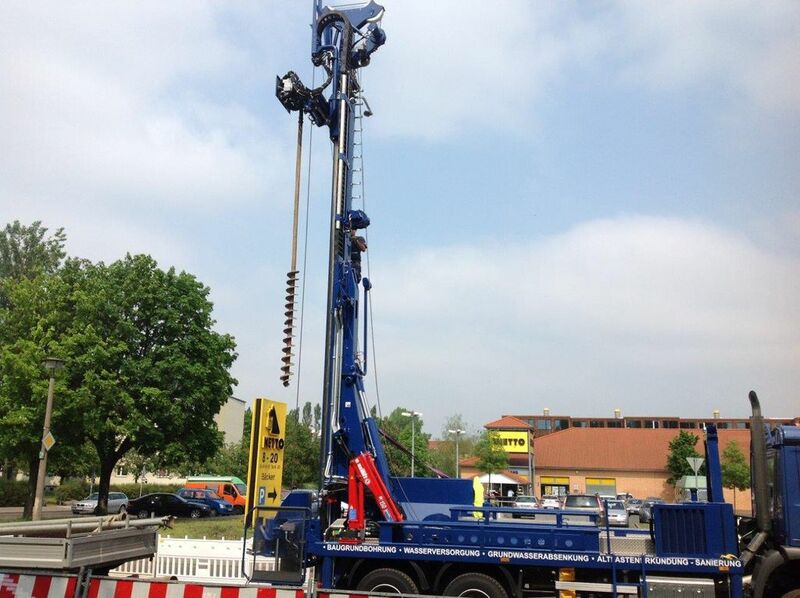 The dimensions of the mast pole were expanded by a static travel of 7.50 m in order to withstand winds during use. 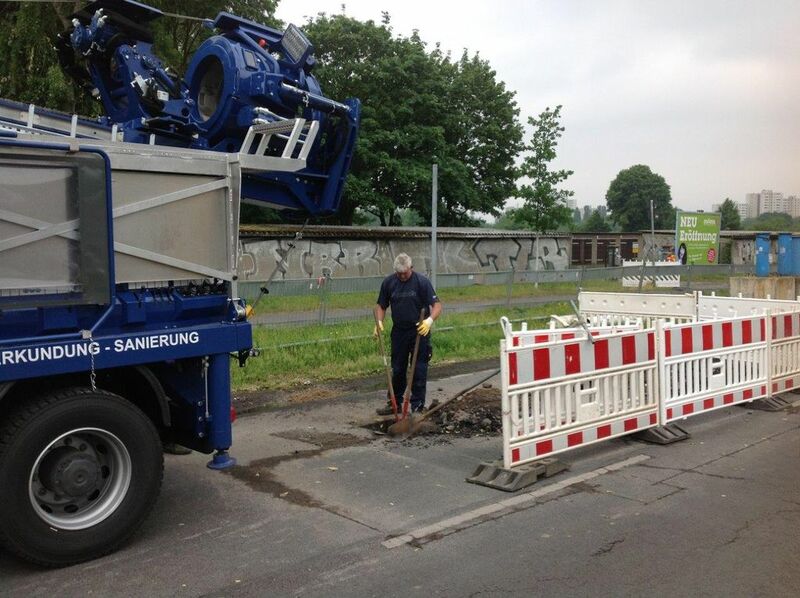 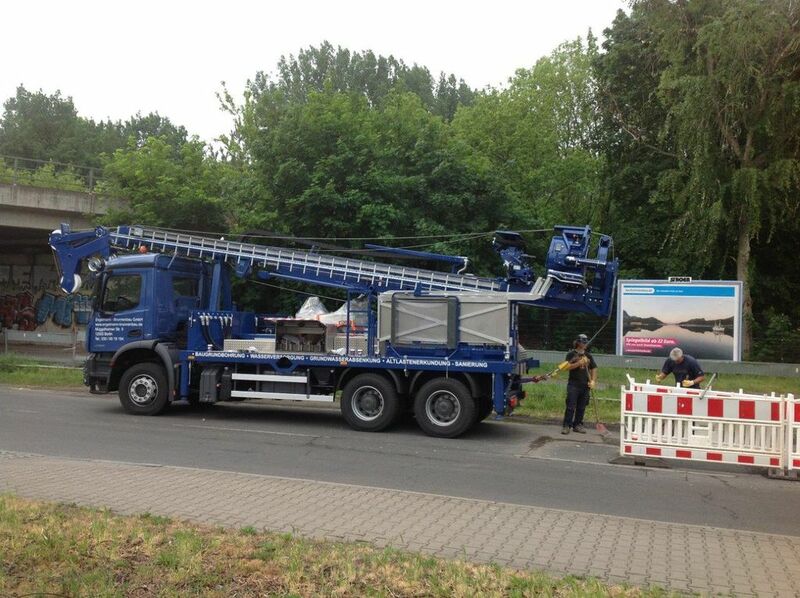 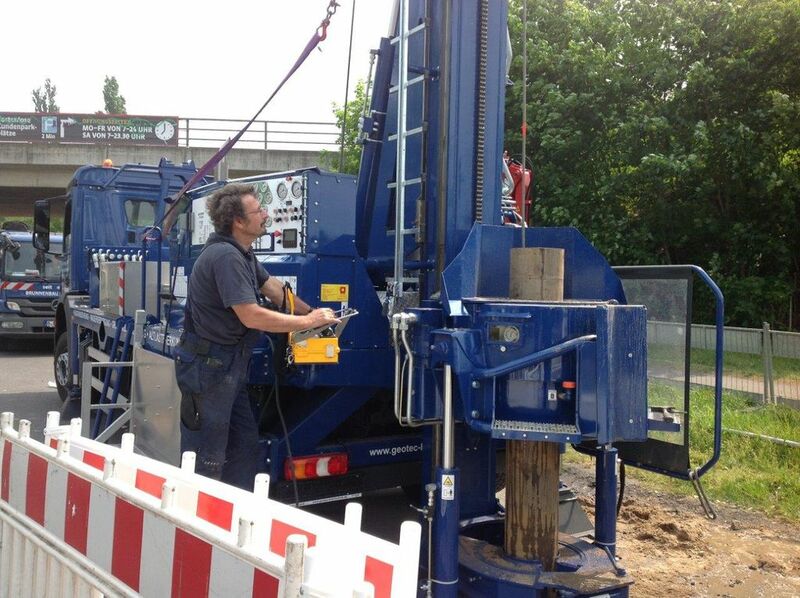 In spite of the mast length, we managed to telescope the mast for comfortable work without any tension. 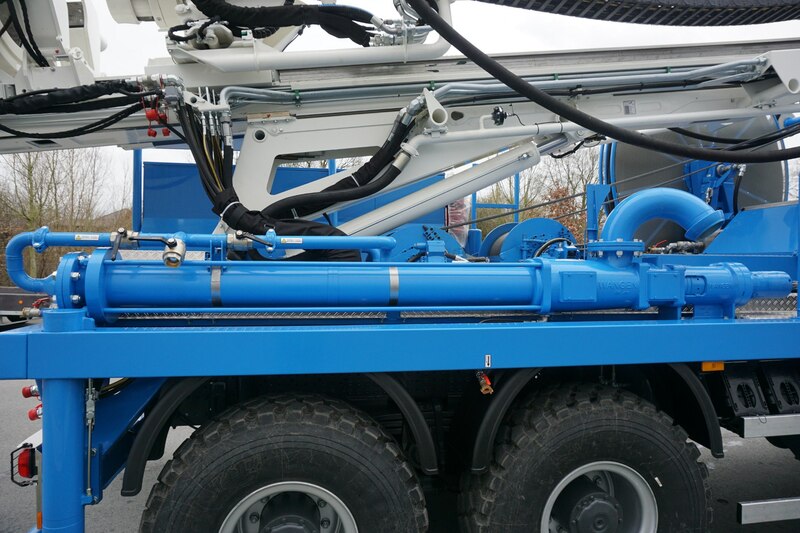 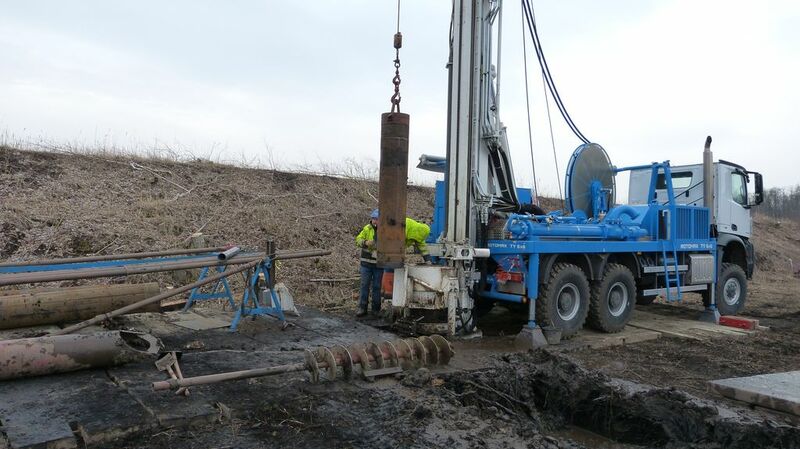 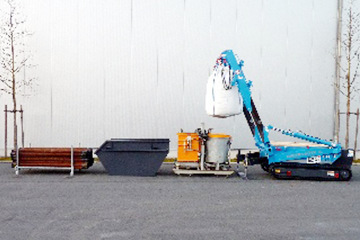 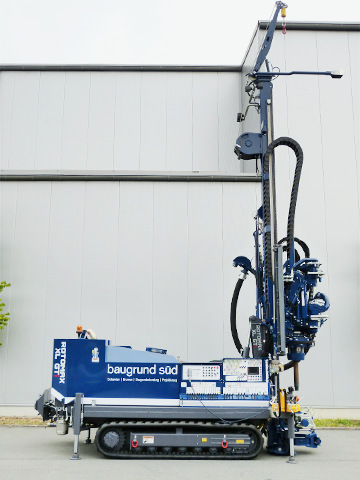 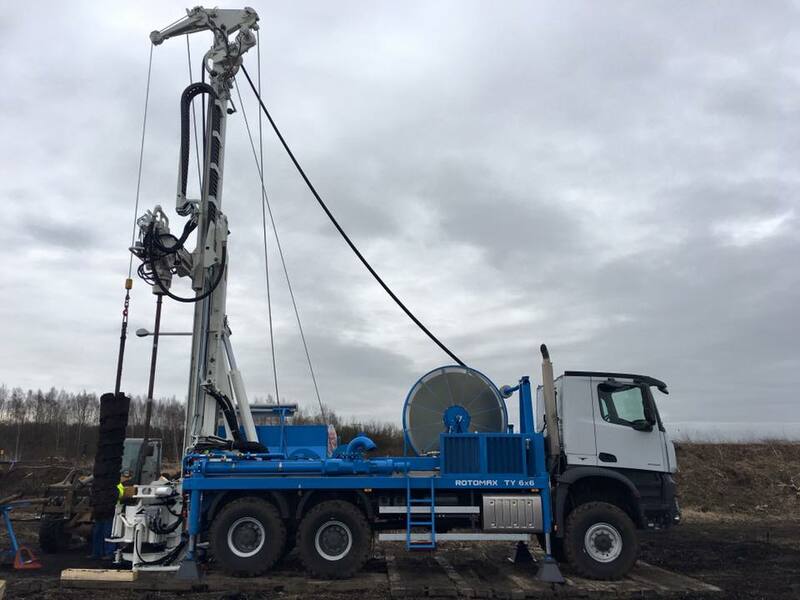 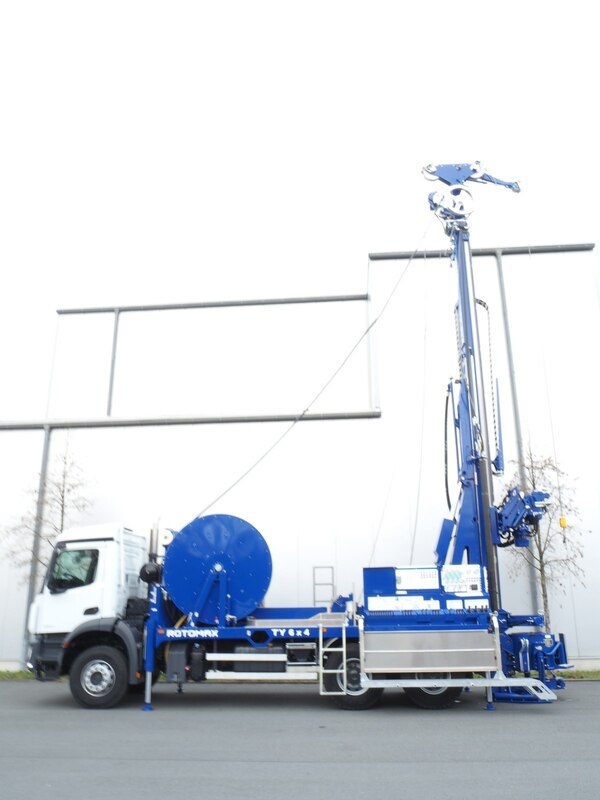 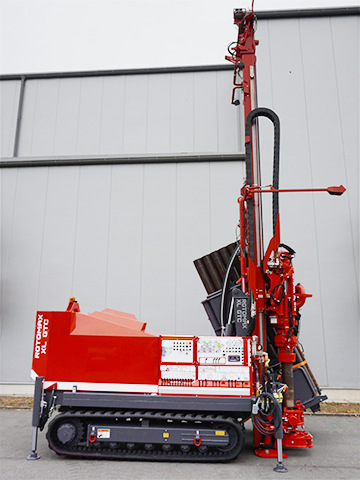 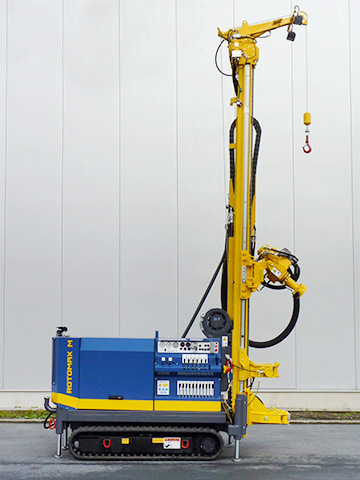 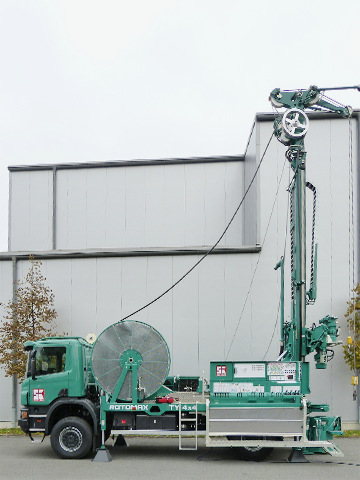 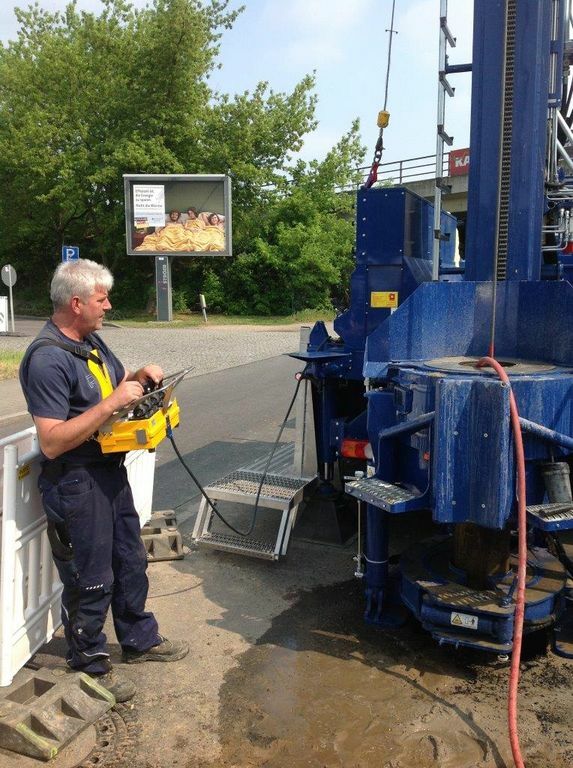 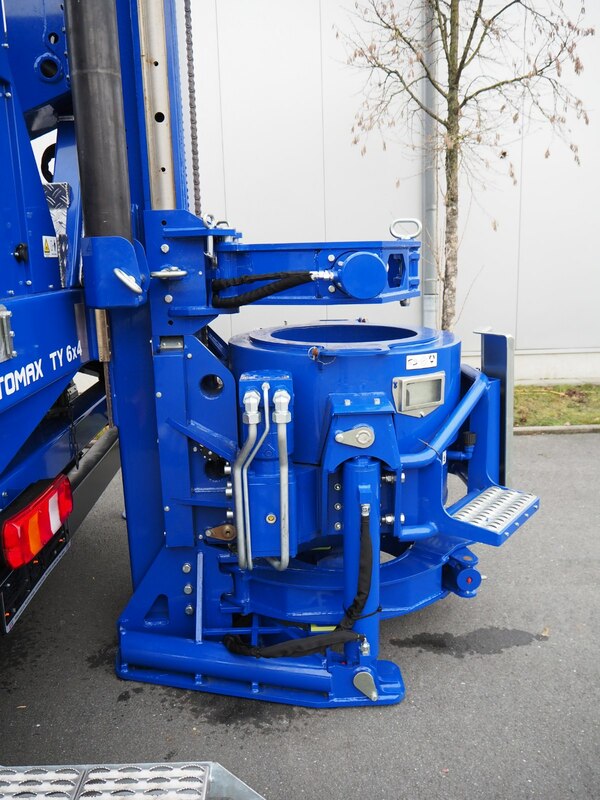 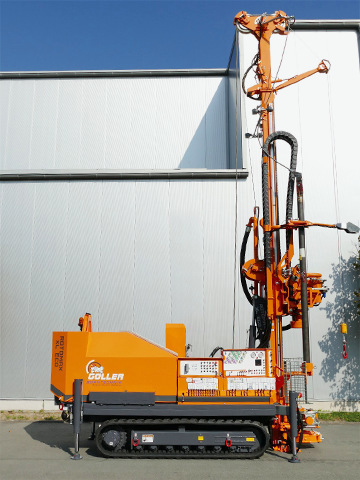 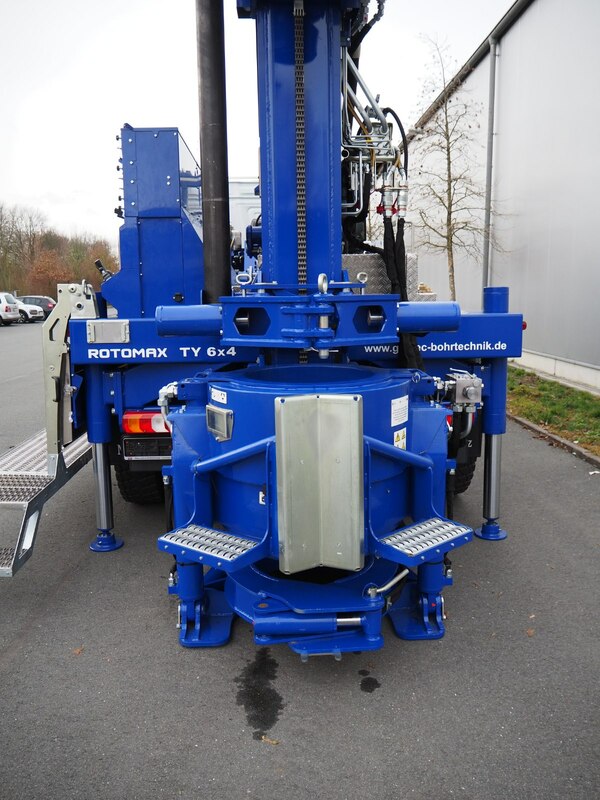 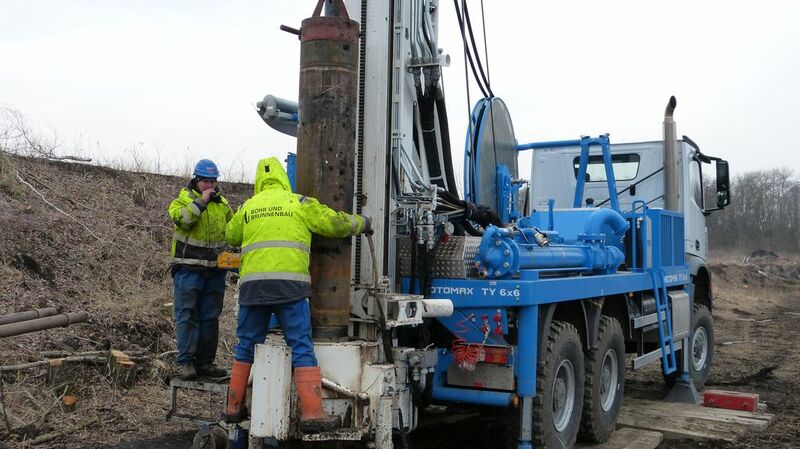 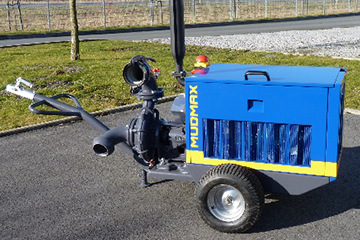 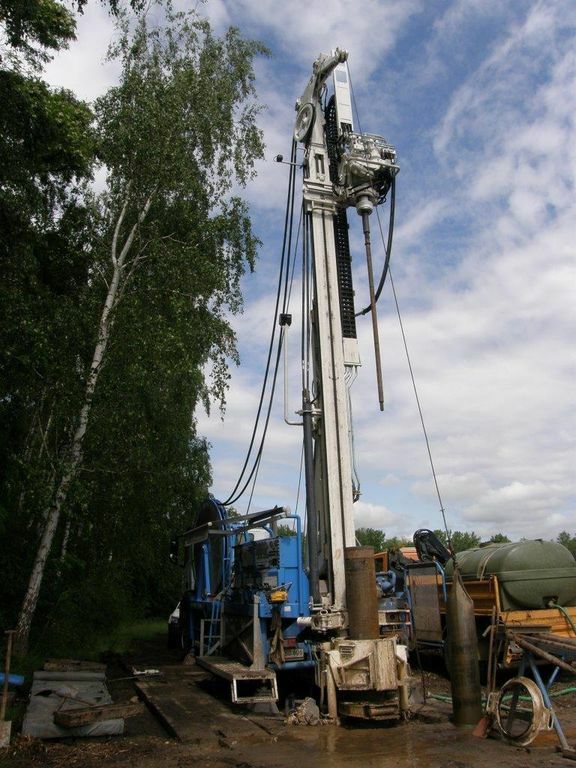 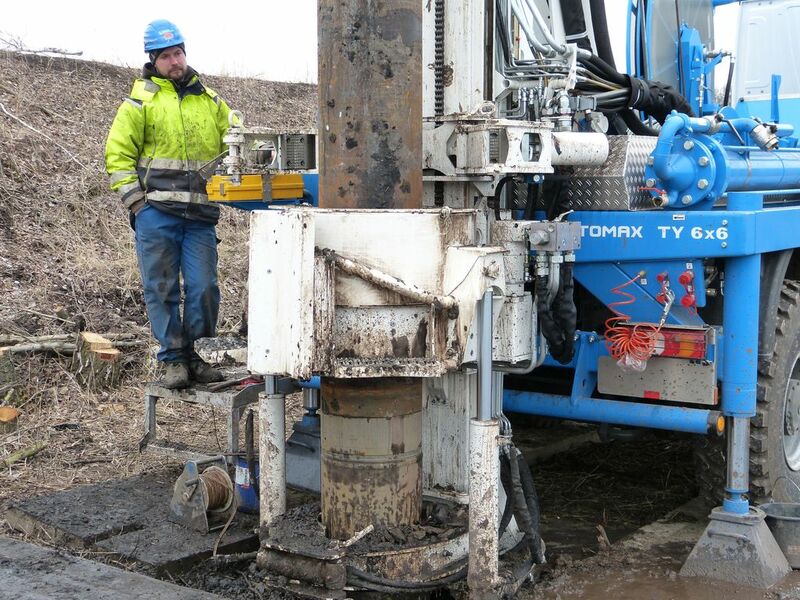 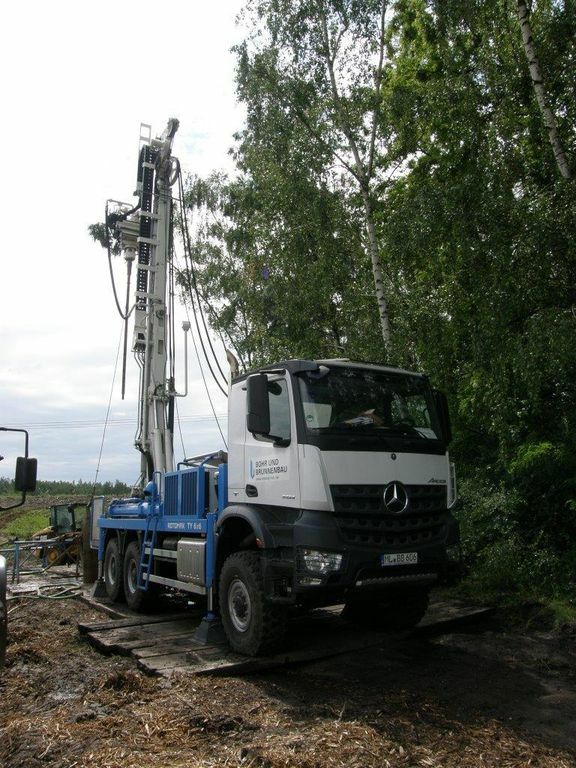 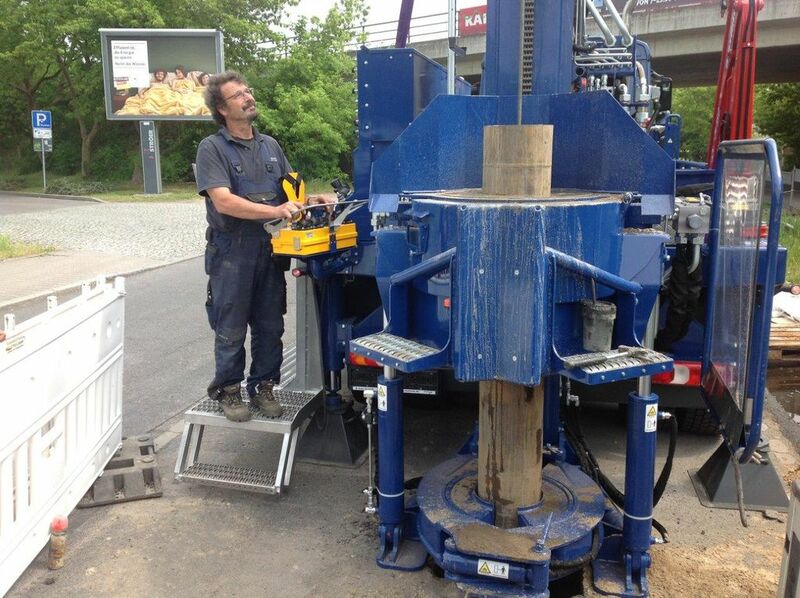 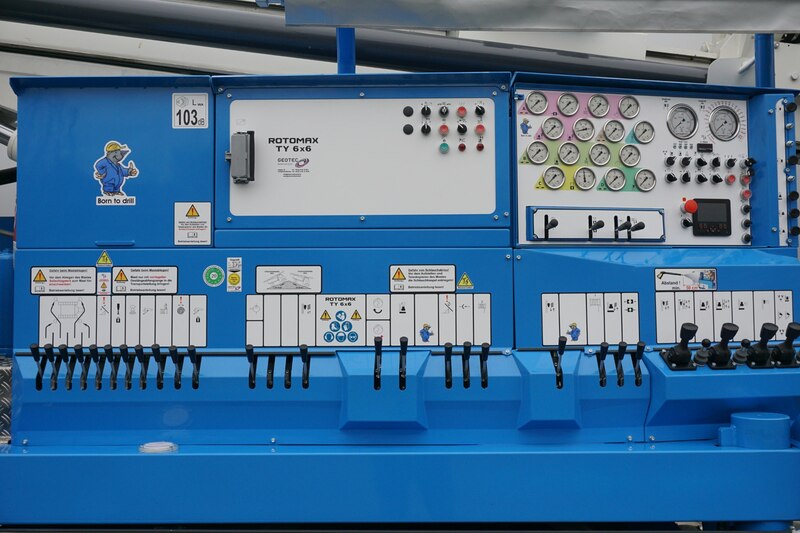 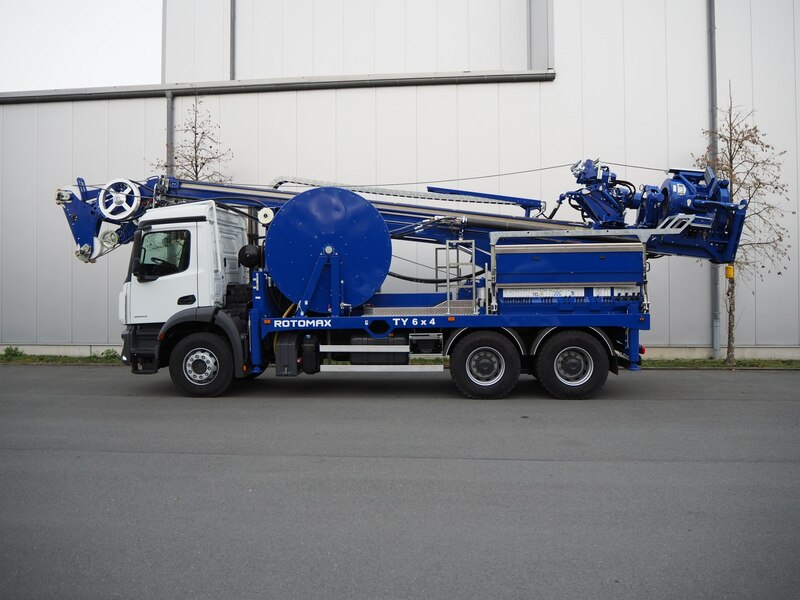 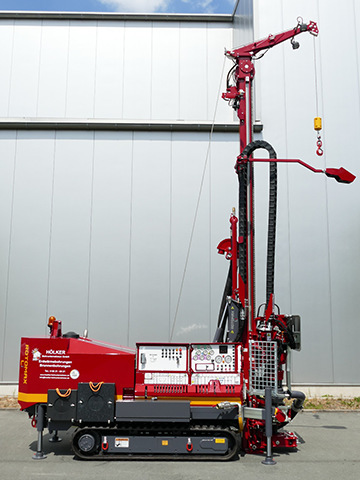 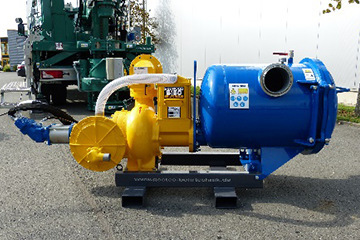 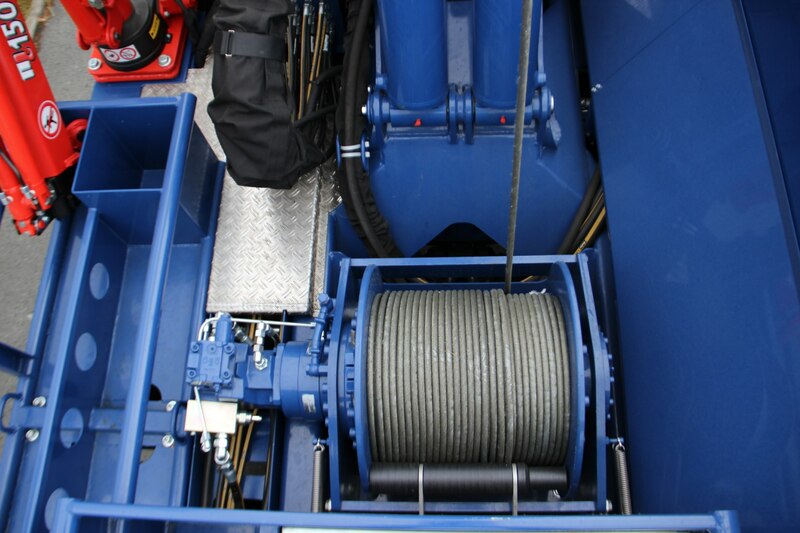 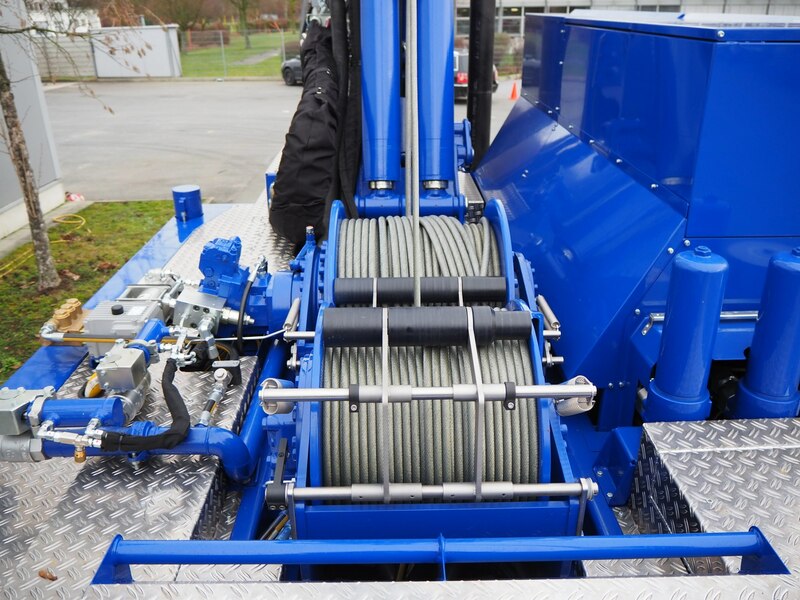 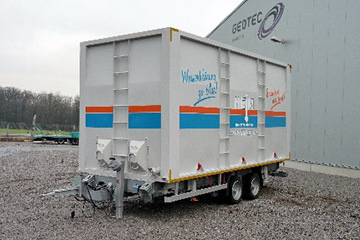 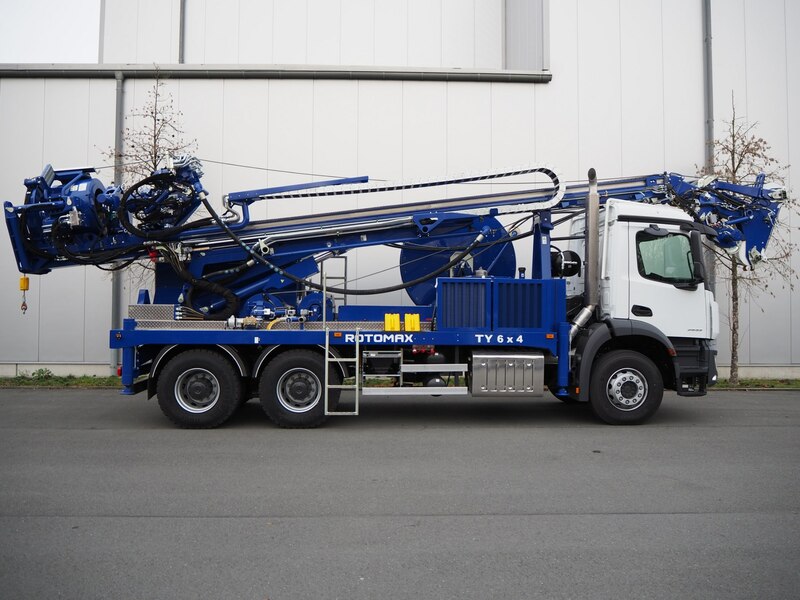 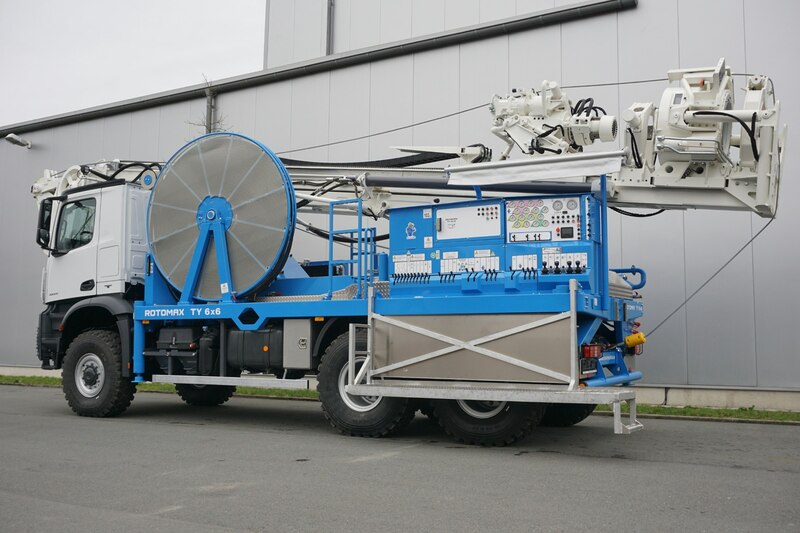 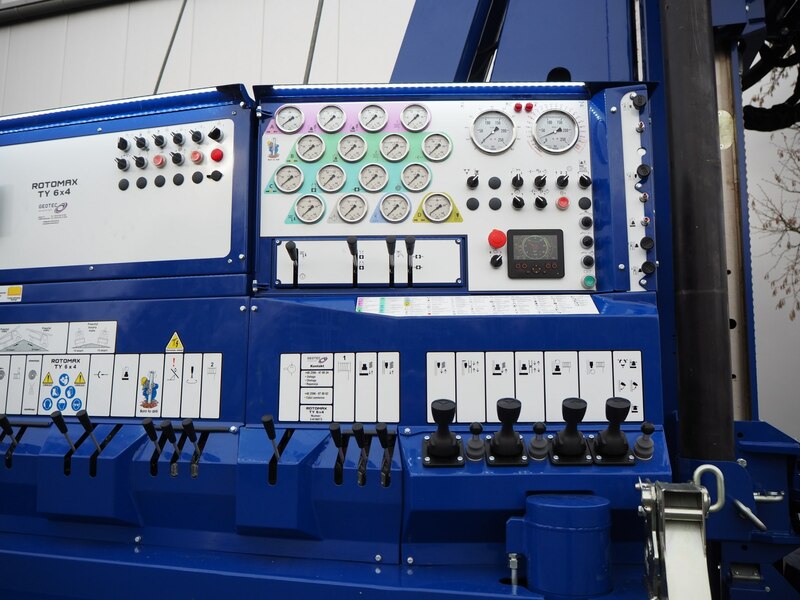 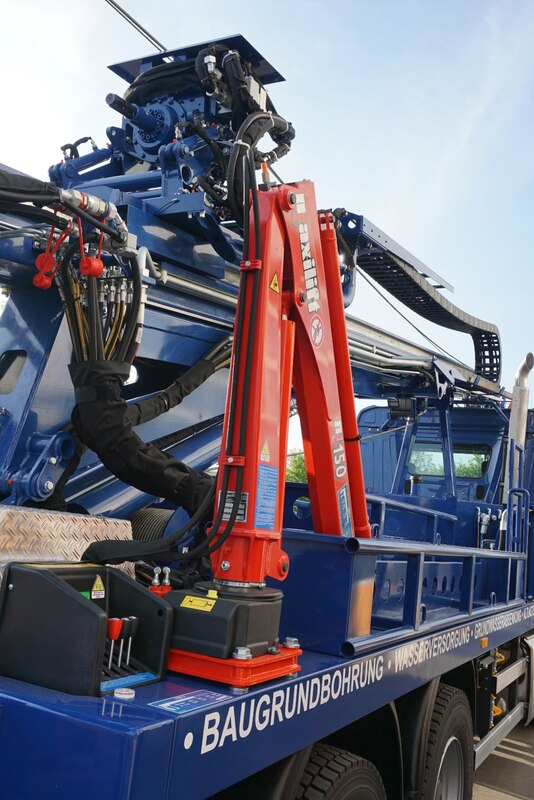 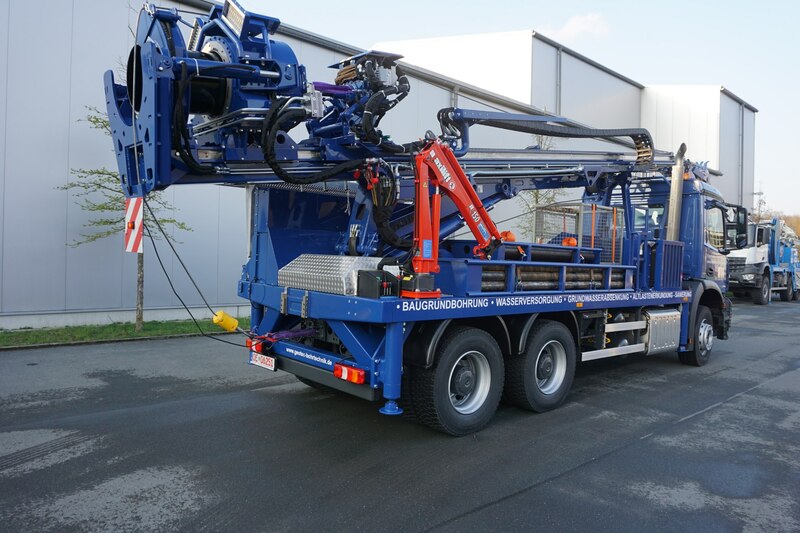 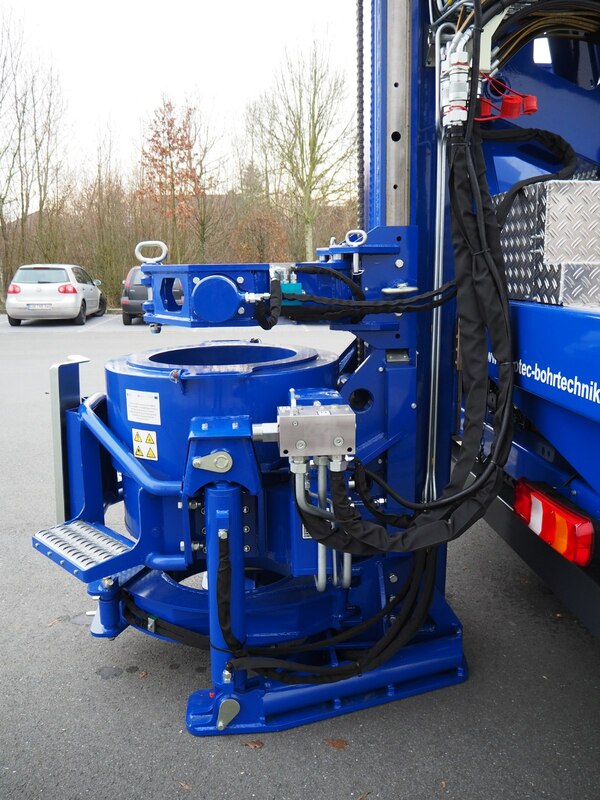 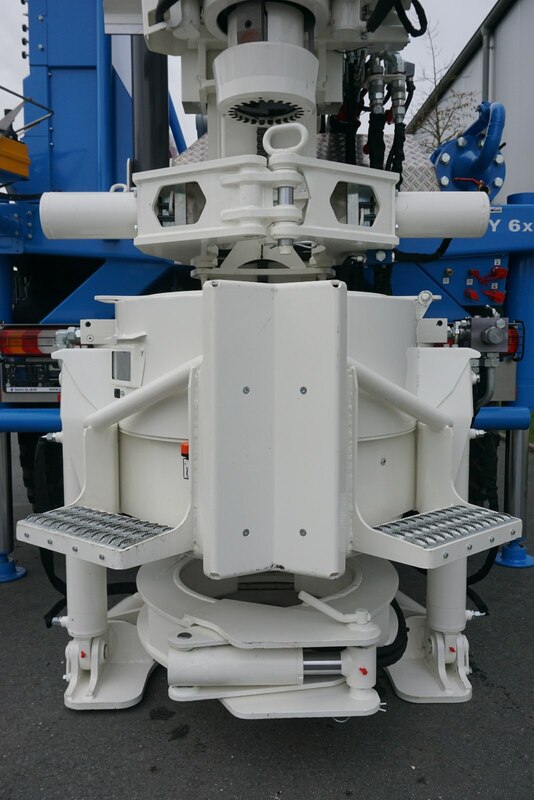 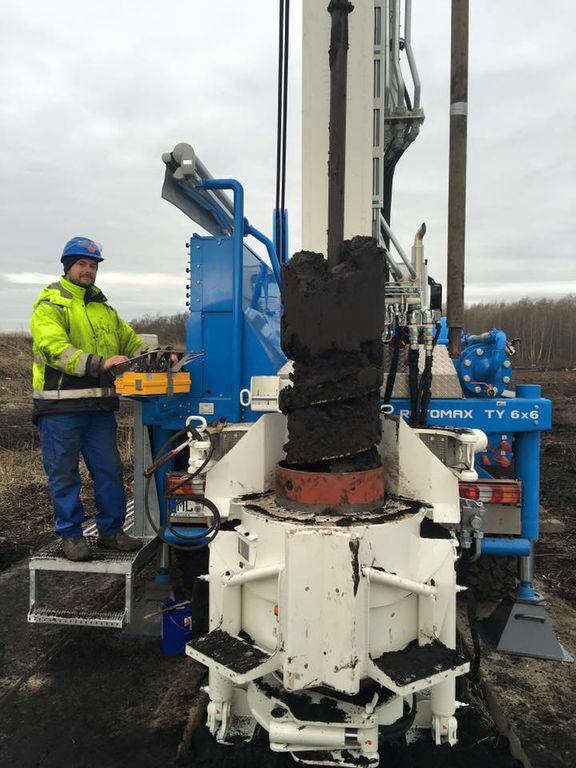 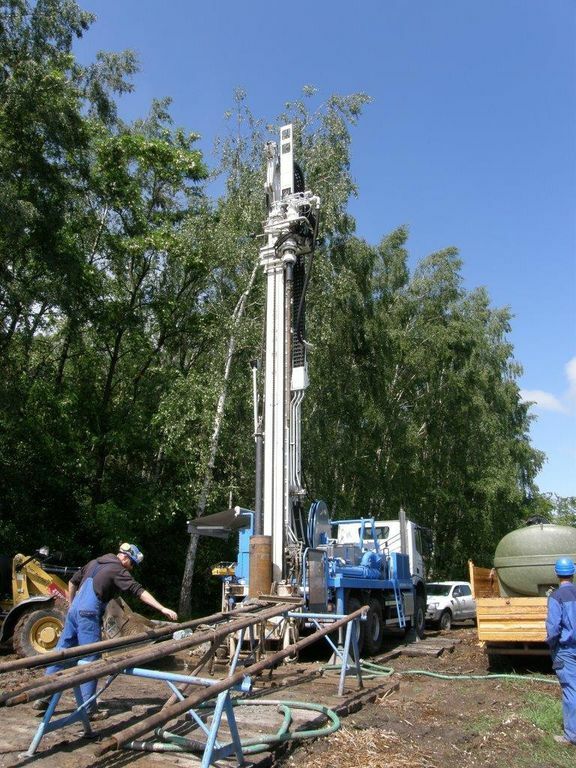 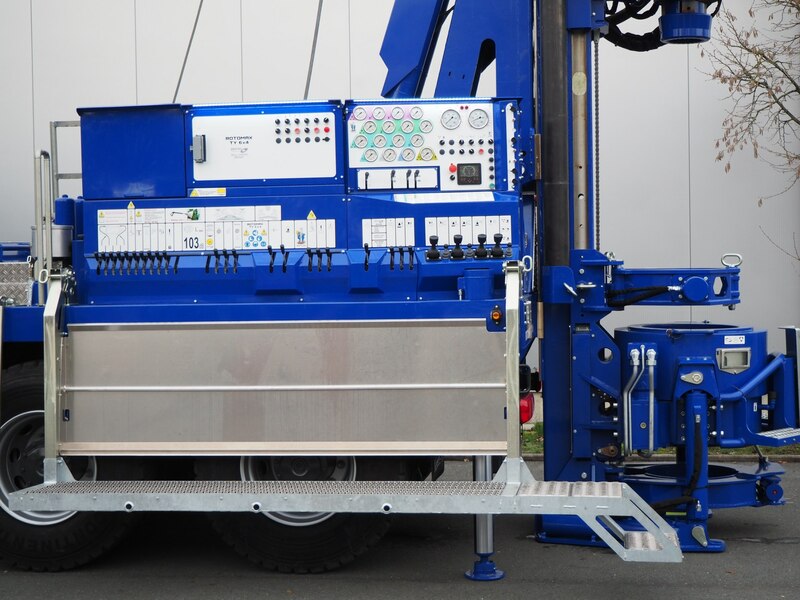 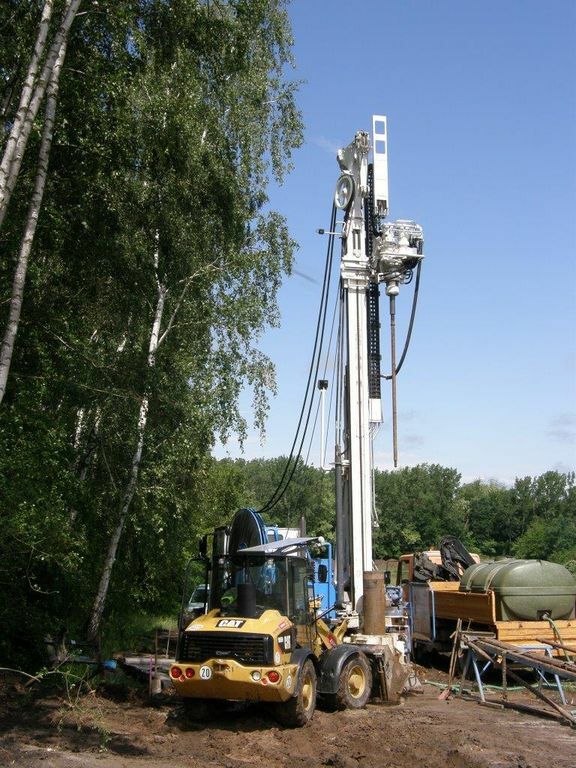 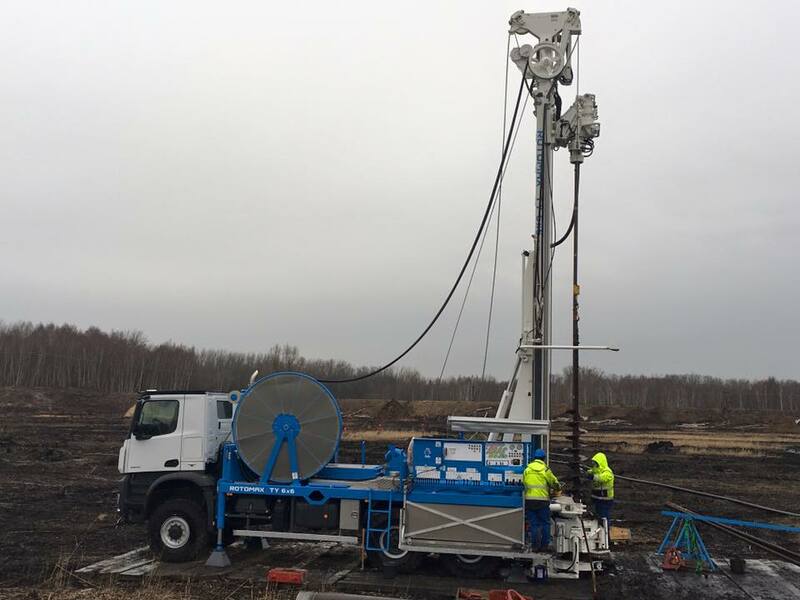 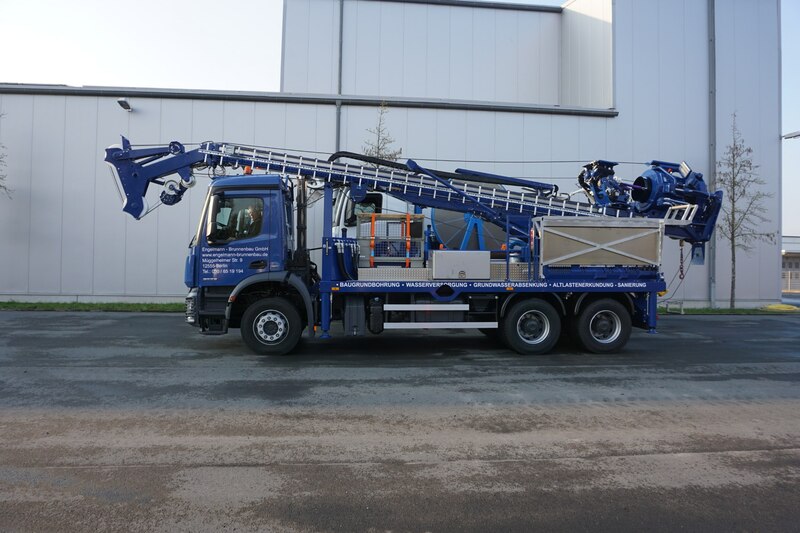 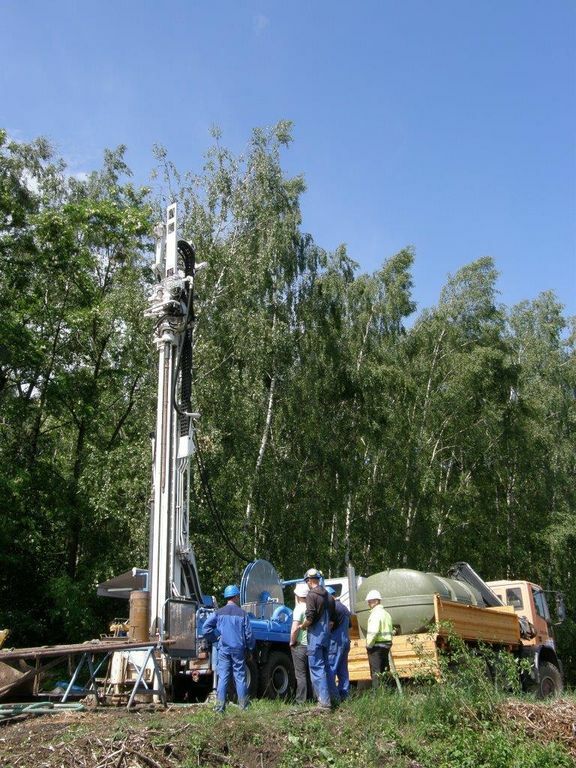 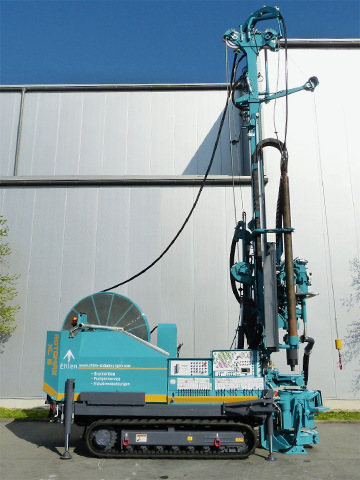 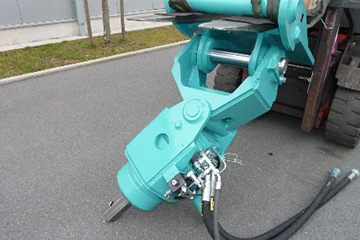 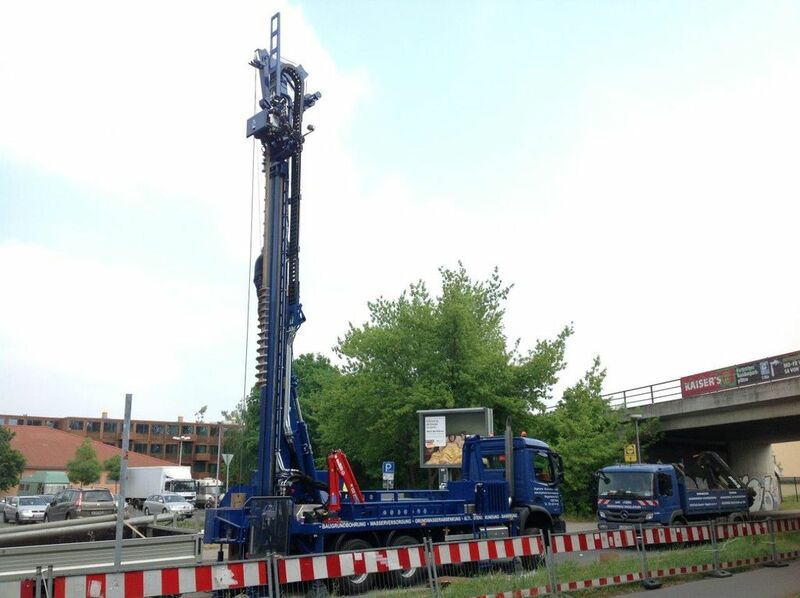 Aside from a pure dry drilling system, expansion options include centrifugal pumps or eccentric screw pumps as well as complete Düsterloh machinery for drilling depths of up to 90 m. As is typical of the Geotec company, these are comfortable to operate.